Name of Vessel Port of Registry Register No. Tax Number Tax Office Identity card / Passport No. The OWNER shall at the beginning of the Charter deliver the Yacht to the Port of Delivery and the CHARTERER shall take delivery in full commission and working order, seaworthy, clean, in good condition throughout and ready for service, with full equipment, including up-to-date safety and live-saving equipment (including life – jackets for children if any, are part of the Charterer’s Party), as required by the Yacht’s registration authority and enabling the CHARTERER to use the Yacht as set out in Clause 13. The OWNER does not warrant her comfort in bad weather conditions for all cruises or passages within the Charter Area. The CHARTERER shall re-deliver the Yacht to the OWNER at the Port of Re-Delivery free of any debts incurred for the CHARTERER’s account during the Charter Period and in as good condition as when delivery was taken, except for fair wear and tear arising from ordinary use. The CHARTERER may, if he wishes, re-deliver the Yacht to the Port of Re-Delivery and disembark prior to the end of the Charter Period but such early re-delivery shall not entitle the CHARTERER to any refund of the Charter Fee. The CHARTERER shall restrict the cruising of the Yacht to within the Cruising Area and to within regions in the Cruising Area. The CHARTERER shall also restrict time under way to a maximum of six (6) hours per day, unless the Captain, in his sole discretion, agrees to exceed this time but in no case more than eight hours per day. Navigation during the night is prohibited unless the Captain in his sole discretion exceptionally considers this necessary to avoid bad weather conditions. a) The CHARTERER shall not at any time during the Charter Period permit more than on board. As an exception, an approved number by the OWNER of additional guests could be on Board but only whilst the YACHT is securely moored in port. a) The OWNER shall ensure that the Captain shows the CHARTERER the same attention as if the CHARTERER were the OWNER. The Captain shall comply with all reasonable orders given to him by the CHARTERER regarding the management, operation and movement of the Yacht, providing that wind, weather and other circumstances permitting. The Captain shall not, however, be bound to comply with any order which, in the reasonable opinion of the Captain, might result in the Yacht moving to any port or place that is not safe and proper for her to be in, or might result in the CHARTERER failing to re-deliver the Yacht upon the expiration of the Charter Period, or would cause a breach of Clause 13.
c) With particular regard to the use of watersports equipment, as defined in Clause 16, the Captain shall have the authority to prohibit the use by the CHARTERER or any or all of his Guests from use of any particular watersports equipment if, in his reasonable opinion, they are not competent to operate such equipment and are not holders of speeboat license, are behaving in an irresponsible manner, or are failing to show due concern for other persons when operating this equipment. Speedboat license is required. The CHARTERER shall be responsible for the operating costs, as specifically defined under “CHARTER CONDITIONS” on Page One of this Agreement, for the entire Charter Period for himself and his Guests. Having paid the Advance Provisioning Allowance (A.P.A.) via the BROKER’s Account, as required by this Agreement, the CHARTERER shall be advised by the Captain, at intervals, as to the disbursement of the A.P.A. and shall, if the balance remaining becomes insufficient, in the light of current expenditure, pay to the Captain, in cash, a sufficient sum to maintain an adequate credit balance. Prior to disembarkation at the end of the Charter Period, the Captain shall present to the CHARTERER a detailed account of expenditure with as many supporting receipts as possible, and the CHARTERER SHALL PAY TO THE captain, in cash, the balance of the expenses, or the Captain shall repay to the CHARTERER, in cash, any balance overpaid, as the case may be. 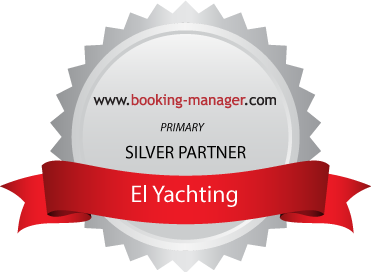 Payment for special requirements or equipment, shore transport or excursions or any other expenses not customarily considered part of the Yacht’s operating costs may be required to be paid via the BROKER’s account in advance or to the Captain on boarding in addition to the A.P.A. Unless specific alternative arrangements have been made in writing, in advance, all payments for operating costs etc, shall be payable in cash in the same currency as the Charter Fee. Payment by cheque, credit card or other negotiable instrument is not acceptable due to the itinerant nature of the Yacht’s seasonal schedule and the CHARTERER should therefore ensure that he carries sufficient cash to cover all reasonably foreseeable expenses or arrange to deposit additional funds with the BROKER. a) If the OWNER fails to deliver the yacht at the Port of Delivery at the commencement of the Charter Period due to storm or bad weather conditions the CHARTERER will accept new port of delivery and the OWNER will cover all expenses for the relevant transfer. If this is not feasible, then the OWNER will allow the CHARTERER demurrage pro rate for every day or part of day lost or if it be mutually agreed the OWNER shall allow a pro rata extension of the Charter Period. b) If by reason of force majeure (others than storm & bad weather conditions) the OWNER fails to deliver the yacht within forty-eight (48) hours from the due time of delivery, the CHARTERER shall be entitled to treat this Agreement as terminated. The CHARTERER’s exclusive remedy will be to receive repayment without interest of the full amount of payments made by him to the OWNER and BROKER. Alternatively, if the parties mutually agree and subject to the bookings of the yacht, the Charter Period shall be extended for a period equal to that which shall have elapsed between the date of delivery and the date of the actual delivery of the Yacht. d) Alternatively to the repayment of the full amount and the liquidated damages set forth in article c of clause 9, the OWNER may offer to the CHARTERER for the same Charter Period and Charter Fees another yacht similar or upgraded to the yacht initially agreed to in regard to size, comfort and services. In the case of replacement of the yacht, this is agreed by the Undersigned parties if the CHARTERERS gives consent on this. b) Without prejudice to the OWNER’s remedies in (a) above, if the OWNER is able to re-let the yacht to another Charterer for all or part of the Charter Period and under the same conditions or reduced price then the OWNER shall refund to the CHARTERER net balance excluded BROKER’s commissions. a) If, after delivery, the Yacht at any time is disabled by breakdown of machinery, grounding, collision or other cause so as to prevent reasonable use of the Yacht by the CHARTERER for a period of not more than forty-eight (48) consecutive hours the OWNER shall make a pro rate return of the Charter Fee from the date and time when the Yacht was disabled or became unfit for use. Alternatively, if the parties mutually agree and subject to the circumstances, the Charter Period shall be extended by a time equivalent to the disablement. b) If, however, the Yacht is lost, or is so extensively disabled as aforesaid that the Yacht cannot be repaired within a period of forty-eight (48) hours, the CHARTERER may terminate this Agreement by notice in writing to the OWNER or the BROKER(s) or, if no means of communications is possible, to the Captain on the OWNER’s behalf, and as soon as practicable after such termination the Charter Fee shall be repaid by the OWNER pro rate without interest for that part of the Charter Period remaining after the date and time that the loss or disablement occurred. In these circumstances the CHARTERER may effect Re-Delivery by giving up possession of the yacht where she lies. The CHARTERER shall be entitled to recover from the OWNER the reasonable cost of returning himself and his passengers to the Port of Re-Delivery by scheduled services, together with any accommodation expenses necessary for this purpose. The Captain shall promptly draw the CHARTERER’s attention to any infringement of these terms by himself or his Guests, and if such behavior continues after this warning, the Captain shall inform the OWNER or his BROKER, and the OWNER may, by notice in writing given to the CHARTERER, terminate this Agreement in accordance with Clause 7 of this Agreement. c) The yacht has to be in re-position not more than 25miles from the port of re-delivery the last 24 hours of the Charter period. a) The OWNER shall arrange for the Buyer to take over the Charter Agreement and perform the Charter on the same terms and conditions by way of a new Charter Agreement between the involved parties. Shall the Charter not be performed on the same terms and conditions, the CHARTERER is entitled to refuse signing of a new Charter Agreement. The BROKER’s commission is deemed earned on the signing of this Contract and the OWNER shall pay the whole of the commission forthwith. b) Additionally, the OWNER shall have insurance coverage against liabilities caused by the use of watersports equipment, as per paragraph 3 in clause 7 of this Charter Agreement. The insurance shall also cover Crew against injuries and/or Third Party liabilities incurred during the course of their employment. The CHARTERER shall only be liable for such costs or losses as may be incurred by repairing damage caused by the CHARTERER or his guests (intentionally or otherwise) to the Yacht or any third party up to the level of the Excess (Deductible) on the OWNER’s insurance policy for each separate accident or occurrence. The CHARTERER may be liable for a sum greater than the Excess (Deductible) on any one accident or occurrence if the CHARTERER or any of his guests acted in such a manner (intentionally or otherwise) as to avoid, or limit, the coverage under the OWNER’s insurance. In this Agreement “force majeure” means any cause directly attributable to acts, events, non-happenings, omissions, accidents or Acts of God beyond the reasonable control of the OWNER or the CHARTERER (including, but not limited to, strikes, lock-outs or other labor disputes, civil commotion, riots, blockade, invasion, war, fire, explosion, sabotage, storm, bad weather conditions, collision, grounding, fog, governmental act or regulation, major mechanical or electrical breakdown beyond the crew’s control and not caused by OWNER’s negligence). Throughout the Agreement, the terms “OWNER”,“CHARTERER” and “BROKER” and corresponding pronouns shall be construed to apply whether the OWNER, CHARTERER or BROKER is male, female, or corporate, singular or plural, as the case may be. 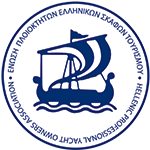 Any dispute in connection with the interpretation and fulfillment of this Agreement shall be decided by arbitration in Piraeus, Greece. Each party shall appoint one Arbitrator, the third –in head of the arbitration - being appointed by the Shipping Chamber of Shipping in Greece. This Agreement shall be interpreted and fulfilled in accordance with the laws of Greece and the Courts of Piraeus/Greece. a) The BROKER’s commission shall be deemed to be earned by the BROKER(s) upon the signing of this Agreement and be payable by the OWNER on the full Charter Fee and sectionally in accordance to the payments of the Charter Fee. In the event of Cancellation or Curtailment by the CHARTERER, the commission shall be deducted as an expense from the deposit and in the case of cancellation by the OWNER for reasons others than the ones as per clause 9 paragraphs a & b, the commission will be payable by the OWNER. All funds received by the BROKER(s) against this Agreement shall be paid to the OWNER as per charter conditions above. If, however, this complain cannot be resolved on board the Yacht then the CHARTERER shall give notice to the OWNER or to the BROKER on the ONWER’s behalf as soon as practicable after the event giving rise to the complaint has taken place and anyway within twenty-four (24) hours of the event or occurrence unless it is impracticable due to failure or non-availability of communications equipment. The complaint may be made verbally in the first instance but shall be confirmed as soon as possible in writing (by fax, telex or mail) specifying the precise nature of the complaint.